Collect, classify and count crime reports and statistics. Issue emergency notifications for significant emergencies, and timely warnings for certain crimes representing an ongoing threat to the campus community. Provide prevention and awareness programs related to dating and domestic violence, sexual assault, and stalking. Establish procedures for disciplinary action in cases of dating and domestic violence, sexual assault, and stalking. 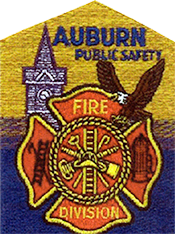 Publish an annual security report and annual fire safety report, including statements of policy for various campus security and fire safety topics. Submit crime and fire statistics to the U.S. Department of Education. Maintain a daily crime log and fire log. Disclose missing student notification procedures. On Campus: Buildings and property that are owned or controlled by the university within the same reasonably contiguous area and used in direct support of, or in relation to, the university's educational purposes. On-Campus Student Housing: Student housing facilities that are owned or controlled by the university, or located on property that is owned or controlled by the university, and is within the reasonably contiguous geographic area that makes up the campus. Public Property: All public property, such as streets, sidewalks, parking facilities, and parks, that is within the campus or immediately adjacent and accessible from the campus. Noncampus: Buildings and property owned or controlled by a student organization that is officially recognized by the university, or owned or controlled by the university, used in direct support of the university's educational purposes, frequently used by students, and not within the same reasonably contiguous geographic area. Separate Campus: Buildings and property owned or controlled by the university, not reasonably contiguous with the main campus, with an organized program of study and at least one on-site administrator. For greater detail, click on one of the quadrants below. Officials with significant responsibility for student and campus activities, including advisors to student organizations. 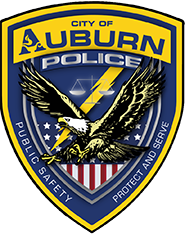 Auburn University Campus Safety & Security maintains a list of identified CSAs, and provides training and resources to CSAs. ﻿For information on the university's formal reporting process and various resources available on and off campus, visit www.auburn.edu/titleix. For information on confidential reporting and survivor advocacy, visit www.auburn.edu/safeharbor.